Bowling is fun! When you start knocking down more pins and bowl a higher score it becomes even more enjoyable. 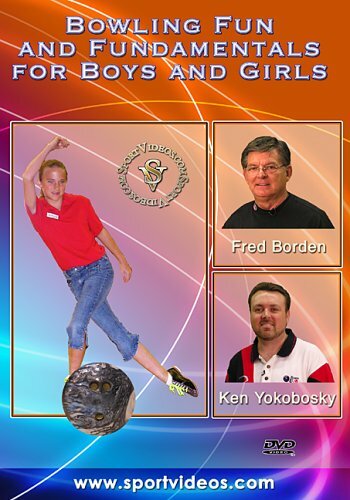 In this entertaining and informative DVD, coaches Fred Borden and Ken Yokobosky teach a group of young bowlers everything they need to know to excel at the game. 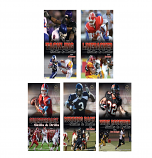 Topics covered include: equipment, rules and etiquette, the four-step approach, arm swing, finish position, the release, drills you can practice at home, common faults and fixes, trick shots from Ken and more. This DVD is the perfect guide for young bowlers of all skill levels and is a valuable resource for parents and coaches. 43 minutes. 2005. About the Coach: Fred Borden and Ken Yokobosky are two of the premier bowling instructors in the game. They have traveled throughout the world, working with bowlers of all skill levels and coaching with Team USA. They have received numerous honors in their bowling careers.